FASTPATCH LV fills cracks and levels to surrounding surface. FASTPATCH LV is the perfect product for repairing small and narrow areas of damaged concrete, and it performs amazingly well in below-freezing temperatures. This quick-setting product has amazing strength and can fix cracks and spalled concrete on the spot. 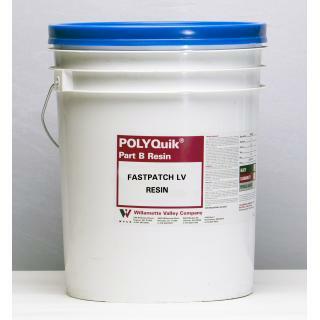 FASTPATCH LV product is best described as a fast-setting concrete repair solution. It has ultra-low viscosity and is most often used to repair cracked or spalled concrete. FASTPATCH LV has the ability to penetrate deeply into concrete and cure at below zero temperatures, which results in superior strength. Once applied, the area can be returned to service within 15 minutes! The product is also certified as safe to use in areas where food products are handled. Customer evaluations have found that the product has excellent performance in below-freezing conditions. The required companion ISO for this product: 5 Gallons FASTPATCH LV (ISO). FASTPATCH LV Gray is also available in convenient 600mL Dual Cartridge form for easy application. FASTPATCH LV is designed to have an ultra-low viscosity and cure quickly, even in cold temperatures. FASTPATCH LV is a tough, zero VOC, two-component urethane that sets quickly, allowing fast return to service. 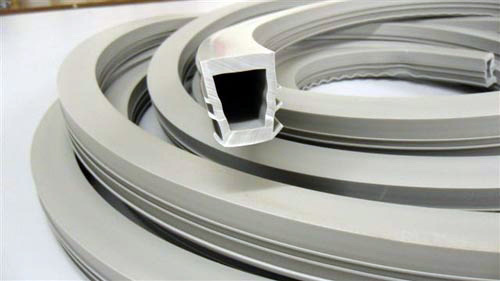 It can be used in applications that require a fast setting, high strength material. High Comp. Strength. Meter Dispensed. Set Time = 2 min. 1:1 Vol.